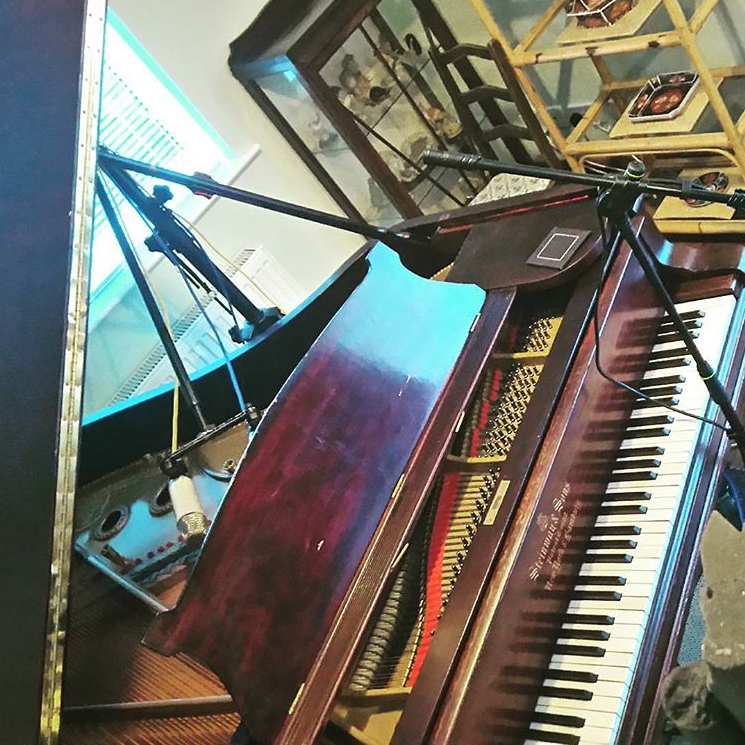 We have a 1911 Steinway A Grand Piano and a 1925 Leutke Baby Grand and with the use of various combinations of stereo pairs of microphones, are able to capture every last detail of sound. The Steinway is a very precise piano, well-suited for all types of music, capable of a broad range of dynamics from the most delicate ppp to a monstrous bass and clear high notes. The Leutke is a more mellow sound, well suited for pop, rock and jazz, and will withstand the most vigorous Billy Joel escapades! Using various different microphones enables us to capture different sounds - for a more 60s pop feel, we can use our AKG D19 mics, or for a purer sound we have various valve or transistor large diaphragm condenser mics. We mic not only above the strings, but also a few feet back from the piano, under the keyboard and by the foot pedals. Our studio set up is such that we can also set mics up along the hallway, or even within the echo chamber and record an astonishing natural ambient set up all in one go!